B&W Illustrations; 8.40 X 5.50 X 1.20 inches; 318 pages; Hard cover is teal with b/w photo on front. DJ. New book. Brick colored end papers. Pages are clean and tight, illustrated with b/w original drawings by Brett Helquist. 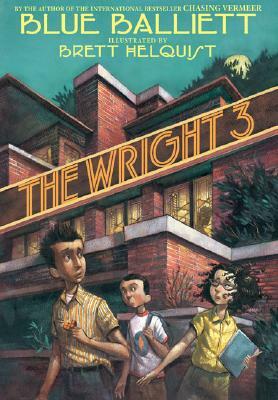 In the midst of a series of unexplained accidents and mysterious coincidences, sixth-graders Calder, Petra, and Tommy lead their classmates in an attempt to keep Frank Lloyd Wright's famous, historic Robie House , in the Hyde Park area of greater Chicago, from being demolished.